A​ picture frame, in many cases, can be as important to the presentation and appeal of a work of art as the artwork or photograph that it supports! Imagine an old 16th century oil painting masterpiece framed in a broken and dingy gilded frame or worse no frame at all! We recommend , at minimum, that we evaluate the condition of the frame at the same time we evaluate the cleaning/restoration of your oil painting. 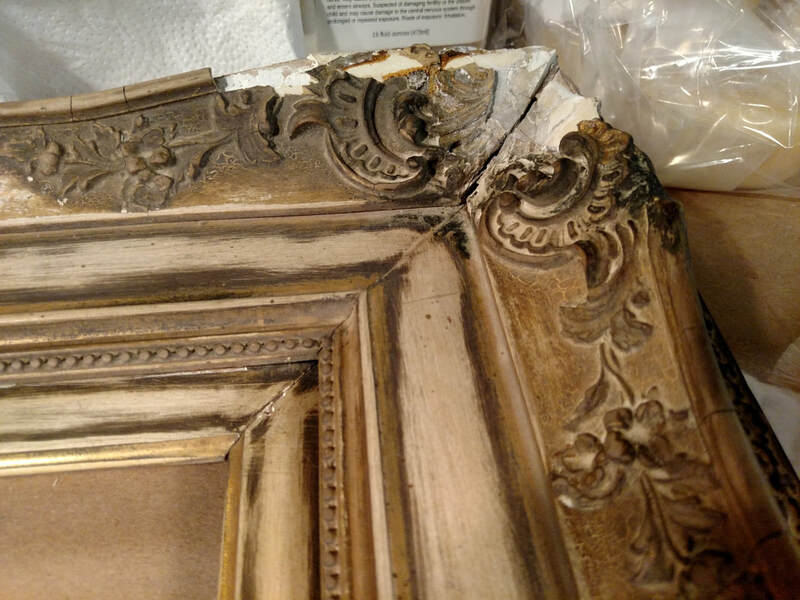 We apply the same Restoration and Conservation standards that we apply to oil paintings to our Frame Cleaning and Repair services. We use cleaning agents, adhesives, and other materials including pigments, stains, and gilding materials that are natural, safe, and archival to stand the test of time and esthetic beauty. Cracks and breaks in cast details, gilded ornamentation, scratches in varnished and painted surfaces are common in old, ornate frames. 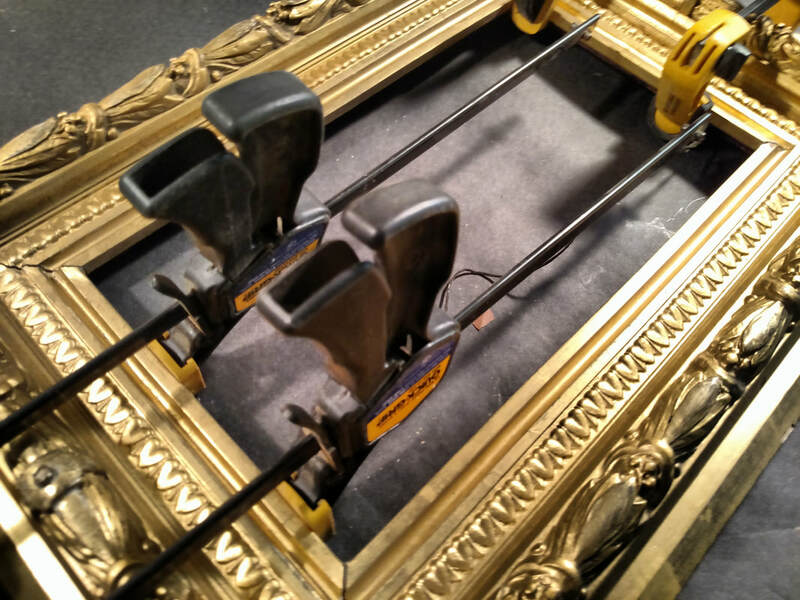 for a complimentary condition evaluation of your old and/or damaged Picture Frames. and a realistic expectation of the restoration processes required, related costs, and completion date. ​No deposit is necessary when you choose to leave the frame in our care.